Original painting, 24 X 30 in., acrylic on canvas. 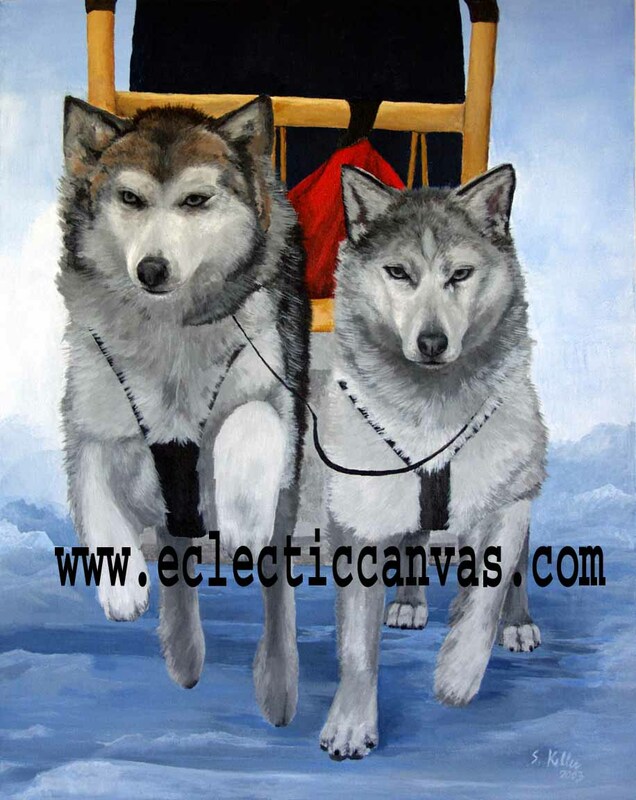 It depicts two sled racing huskies. This painting received a merit award from the DuPage Art League in September, 2006. Although the original is no longer available, Matted Giclee limited edition prints are available in three standard matted sizes. For process details, matting materials, or custom sizes see our "Prints" page.